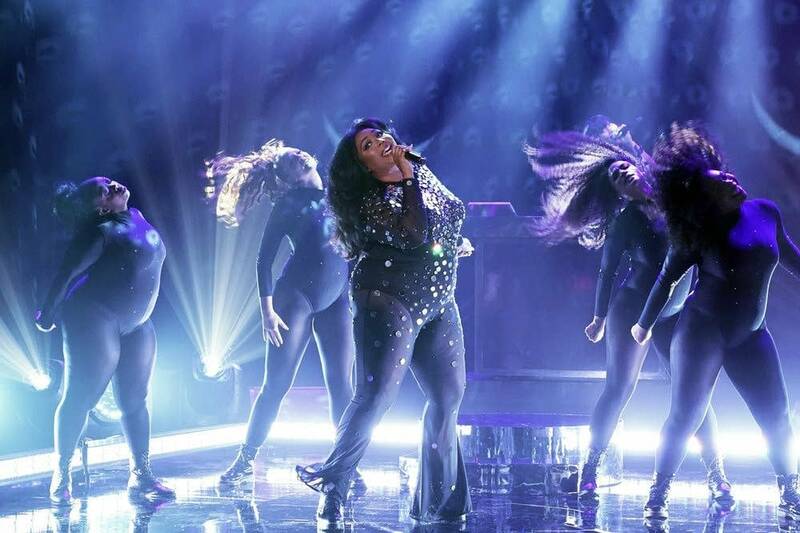 Cuz they luv'd her at SXSW, Variety called her set the buzziest of the week, Lizzo tops the chart with the title track from her April 19 album which was just picked as one of the most anticipated of the Spring by The Observer in UK. Up eleven places to #2 is Jenny Lewis, who will be the next MicroShow at the tiny Clown Lounge at The Turf Club, when she's in town to play The Palace. You can register to win tickets here. Brandi Carlile is inducted for the 5th time putting her at #30 on the All Time Hall of Fame Chart and Chance The Rapper and Hozier both get in for the 4th time. You catch watch the latter on Colbert Thursday night. The biggest upward mover this week is Sharon Van Etten, who did the most recent MicroShow at The Warming House to about 40 invited guests on a Sunday morning. Also commanding a plethora of rave reviews from SXSW is J.S. Ondara at ten. BrooklynVegan named him in their 15 top sets, pointing out that, "As sad and serious as his songs are, his stage banter was genuinely hilarious!" Bill DeVille does some of his finest work yet reviewing Andrew Bird's new one as Album of the Week. Andrew was one of the guests at our day party in Austin TX. Highest new entry at eleven is The Black Keys, back after a five year hiatus which includes a Target Center show September 28 with Modest Mouse on their huge tour of US in the Fall. Two of the states finest musical exports come together next week to record a live album! Dessa, brand new at #12 and The MN Orchestra, playing Tuesday and Thursday at Orchestra Hall. On tour with Hozier right now, Jade Bird is new at nineteen. A Charlotte, NC website said, "...she was a charming and energetic performer." And they have a short video to prove it. The National are also back, in our basement space this week. The album is coming on May 17th and they have a massive tour booked throughout the summer. Submit your Chart Show ballot this week for a chance to win The Current's Amanda Palmer giveaway at The O'Shaughnessy on April 13, 2019!